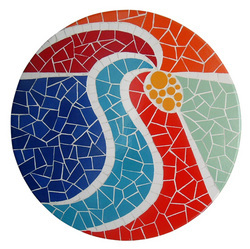 Ceramic mosaic. Made in the Creativity Center of Curitiba. Binding coated with scrapbooking paper and tissue. Jewerly purses, business card holders and hairclips.